Action: Discard the top 2 cards of any deck. 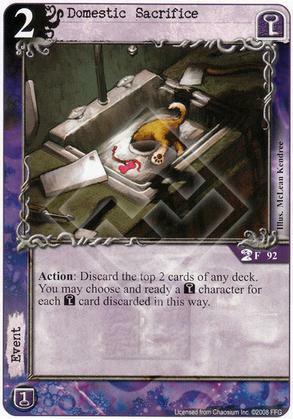 You may choose and ready a [Yog-Sothoth] character for each [Yog-Sothoth] card discarded in this way. Is it just me or is this the saddest art ever?